Kanazawa has a variety of faces. 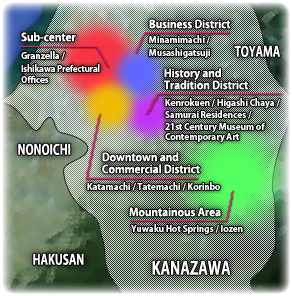 In the center of Ishikawa Prefecture is Kanazawa. Kanazawa has several faces. From the Minami Business district, to the city sub-center where Granzella and the prefectural offices are, continuing on to the commercial district which encompasses Katamachi and Tatemachi. It also includes historical and tradition districts like Kenroku-en Garden, the samurai residences, Higashi tea district, and finally spreads out to the border of Toyama prefecture. It may surprise some people to learn there is a mountainous area in Kanazawa. For this Life Map, we feature the Yuwaku Hot Springs, Kanazawa’s exclusive seclusion in the mountains. Kanazawa has a well-balanced mix of various appeals and travel is easy between all the areas. The hot springs has a long history. The outdoor hot spring “Albino Heron’s Hot Spring” was named after the legend of how the hot spring began. At first glance, Yuwaku Hot Springs appears to be an ordinary spa town. According it’s long history the spring was founded in the year 718. Paper craftsmen, discovered the appearance of a heron dipping it’s body into a winter spring, and approached in wonder. Because the hot water was gushing out, it was named “Yuwaku Hot Springs.” (Yuwaku roughly means “bubbling water”) It can definitely be said that it is an onsen. 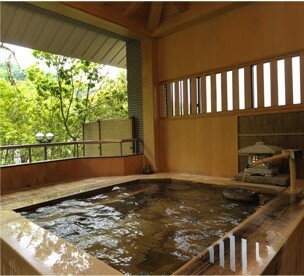 With the hot water bubbling out creating the desire to enter the water, it could be called the best of the best onsens. It could be said the naming is easily understood as it’s often imitated. Since it’s opening, the Yuwaku Onsen public bath has been enjoyed by a variety of people up to present day. During the Edo period, which is known for the Kaga clan’s Toshiie Maeda, from the Meiji era, starting with Takehisa Yumeji, it became a favorite of artists and writers. During the Showa era the Hakuun Sakura Hotel, rich and gorgeous, was at its peak. It was well known for visits from the Emperor and Empress. As an Okayama born poet and painter he is known for his unique aesthetic and style in his beautiful paintings and poetry. It’s been said that Yuwaku was his favorite destination to travel to with a mistress whom he lived with. Looking at him as a painter he had a great attention to detail, but it could be said that he was a pretty free-spirited person. It’s very enviable. Nowadays, a small hot spring remains. This timeless space is love by people from all eras. In today’s world, the tales of the good old days tell of 9 inns. However, only one public bath remains today, tucked away in the mountains near Kanazawa. Concerning the hot spring’s events, there’s a public ice house as well as other things. Snow piled up from the winter is saved in a special hut called a Himuro. Later the ice is removed in June. At first glance it’s seems like the snow is packed into the hut only to be taken back out again, but it could be said it was a forerunner for the energy conservation boom. Also, because Yuwaku onsen was painter Takehisai Yumeji’s favorite, the Takehisa Yumeji Memorial was built. 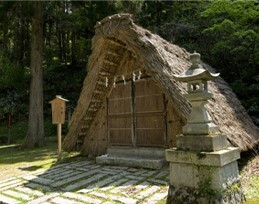 The nearby important cultural properties, such as edo style samurai residences have been preserved as Yuwaku Edo Village. 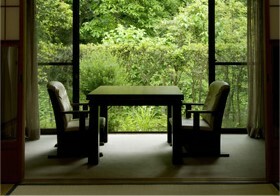 A variety of traditional creative works can be experienced in the Kanazawa Yawaku Forest of Creativity. This onsen is rooted in tradition and creativity. Basically, it’s an old fashion refrigerator. It was also valuable for the Kaga clan to be able to provide ice for the people. In the onsen’s 1300 years, it remains a public bath. For the time being, it’s still effective. Does it really have these benefits? Weak in alkaline, the odorless and tasteless spring quality has an effect on nerve, muscle, and joint pain. In times like the cold winter season, when you soak in it, there’s no doubt that the comfortable feeling will lift you to the heavens. It might look to be a seemingly normal hot spring, but the truth is your fatigue will just melt away before your eyes when you soak in it. It could be said that a hot spring with this kind of recovery effect should be called the waters of life. Did you know this hot spring village is the setting for an anime? 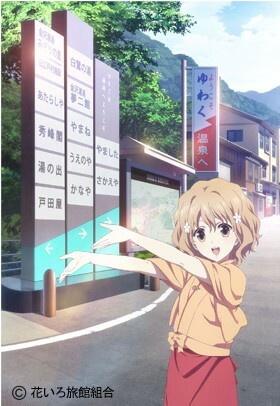 The anime “Hanasaku Iroha” was broadcast from April to September in 2011. Forced to leave home and work at her grandmother’s Inn, due to some strange circumstances, the hero, Ohana, grows from her experiences. Recently, charming stories grounded in reality have become popular. The onsen in this anime uses Yuwaku Onsen as a model. In addition to placing posters all over Kanazawa, the now famous town, Yuzu Komachi, began to offer Hanasku Iroha packages. At first glance it might seem that there would only be a boom of local visitors from Kanazawa, however due to the high quality animation and charm of the story, there has been a nationwide boom and young people from all over Japan have come. You can make a “pilgrimage” to the locations in the Anime.There’s no doubt that you can enjoy the anime more after comparing it to the actual locations. Unprecedented numbers stormed the Paper Lantern Festival, the inn was also very busy. Yuwaku is a small hot springs village. One day, 5000 people crowded Yuwaku. 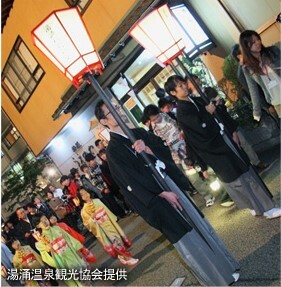 On October 9th, 2011 the fictional Paper Lantern Festival from Hanasaku Iroha was actually held. Moreover, it was not an ordinary anime event, the hanging of the lanterns and the ritual were actually thoroughly conducted. At the time of the airing of the anime, it was thought that this would be a one time thing. However, there has been a decision to hold it again in 2012. Now, although the official opening day still hasn’t been decided (at the time of this writing) the inn is fully booked. The power of Hanasaku Iroha should be feared. It could be said that Hanasaku Iroha’s presence is creating a new Kanazawa tradition. Located deep in the mountains of Kanazawa is a small hot spring village that has existed for 1300 years. Maybe that’s because it makes your soul feel as if you’ve returned to your hometown. In addition to it’s history and tradition, this anime’s appeal has created a strong attraction with young people. So in the future, this hot spring will continue to be timelessly loved. Upon writing this article this author was able to visit the hot springs with 10 friends from school. Drinking with friends also served as article research, however, while a merry tone is used, it’s not without being fully aware of Granzella’s pursuit of the social essence. At first glance, I always seem to be behaving cheerfully. Because of this, it may seem that I can’t be discouraged, but inside, I am deeply hurt and may not be able to get over it this time. With a heart warming episode of Hanasaku Iroha and a hot springs bath at Yuwaku, these emotional scars can be healed. Today I also appeared at the hot springs for a bath. 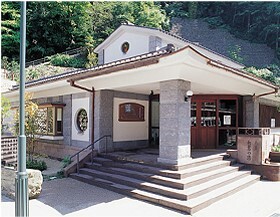 <Management > Yuwaku Hot Springs Tourism Association, HANAIRO Ryokankumial, P.A.WORKS Co.,Ltd.